The Times New Roman: Red Hot Chili Peppers! When my concert buddy, Patricia, notified me that one of our favorite bands Red Hot Chili Peppers would be playing Pittsburgh in May, I was beyond thrilled! I've been a fan of RHCP since grade school but have yet to see them live. We had a feeling this would be the year they'd come to the 'Burgh. We were right! I also have a feeling they might be at Bonnaroo this year as well but I'm waiting for the full lineup before I decide to go or not. 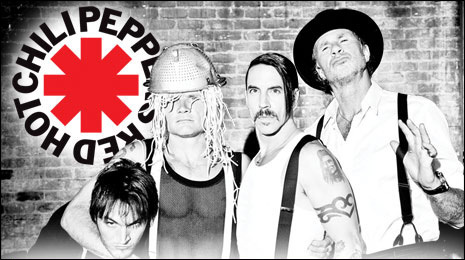 I am big fan of Red Hot Chilli Peppers. Whenever they perform any near by location i love to attend their concert. Nail Polish of the Moment: OPI Step Right Up!